The House of the Weeping Widow.. Lyteranska Street at the intersection with Bankova.. 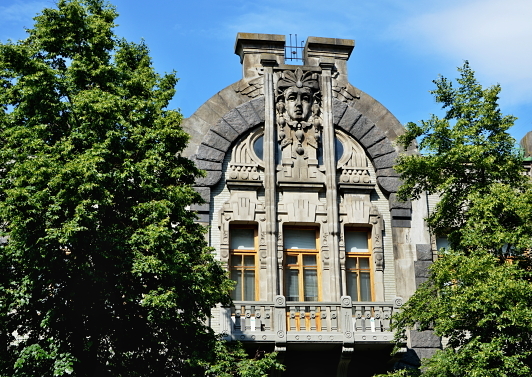 The drains from the peak of the roof run through the eyes and when it rains, the face cries.. A well known building in Kyiv, it is owned by the government and occasionally used as housing for visiting foreign dignitaries.. This entry was posted in Photography, Travel and tagged Architecture, building, Kyiv, landmark, Statue by Steven. Bookmark the permalink.